Aesthetics, functionality, readability – all this is offered by Guidelines from Frederik Roijé. The unusual newspaper holder arose whilst Frederik Roigé was searching for a balanced ratio of these individual parts. Guidelines consists of two powder-coated thin metal strips crossing each other at a right angle. This results in a shape that accommodates up to 9 thick magazines, newspapers or the like and places them in a pleasant relationship to each other. Guidelines doesn't only hold your magazines, but it also presents them in an appealing and clearly visible way. 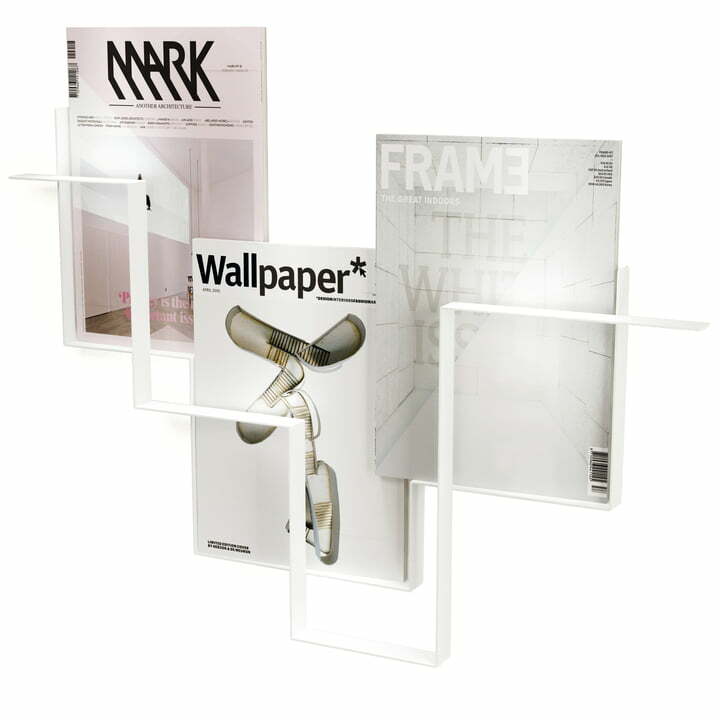 Single image of the Guidlines magazine holder by Frederik Roijé in white. It does not only store your newspapers but it also presents them appealingly good and visible. 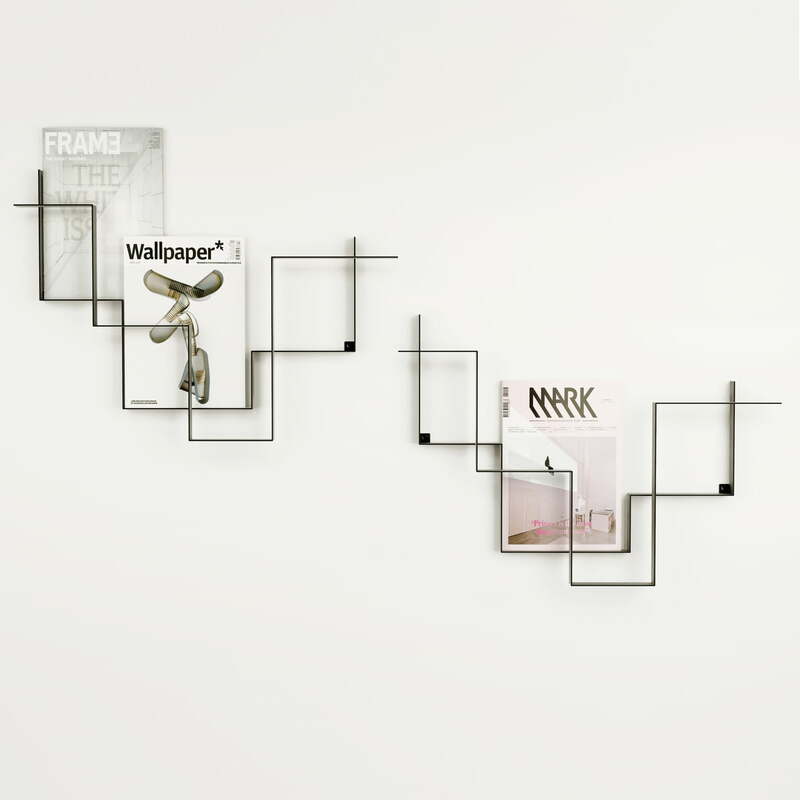 Single image of the Guidlines magazine holder by Frederik Roijé in dark grey. It consists of two powder coated thin metallic strips that cross one another in the right angle. This produces a form that holds up to 9 thick magazines, newspapers or similar placing them in a pleasant proportion to each other. The unusual newspaper holder emerged while Frederik Roigé looke for a balanced relation of the single parts. If more than 9 magazines are to be stored, several holders can be installed next to each other. 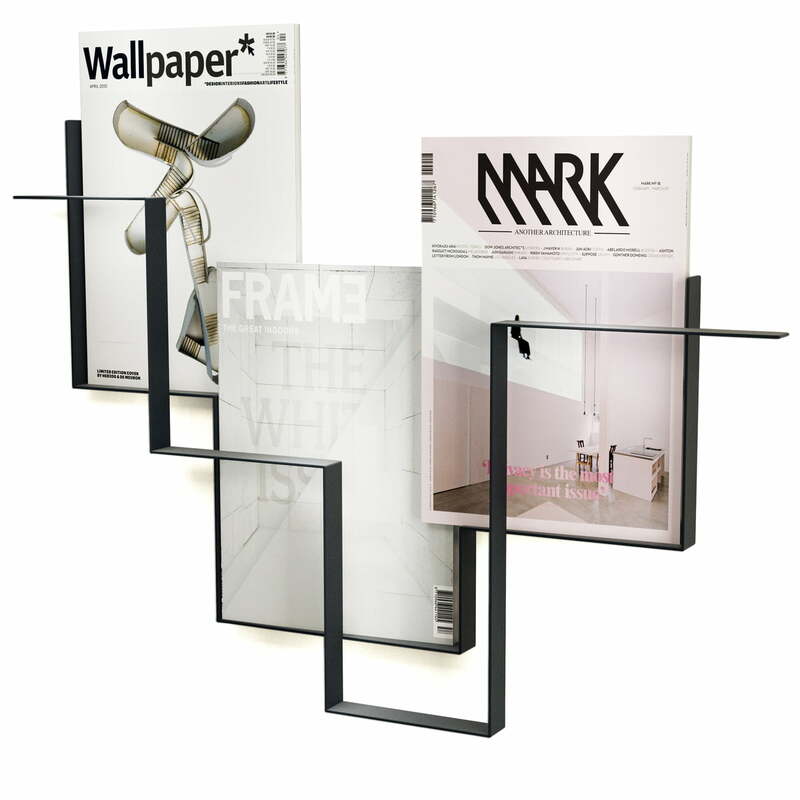 This is how to present your glossy magazines with artful covers: the Guidelines magazine holders by Frederik Roijé can be mounted in a shifted or horizontal way on the wall. One holder takes up to 9 magazines.